In this Tuesday, Jan. 16, 2018 file photo, Fiat Chrysler Automobiles CEO Sergio Marchionne is interviewed after the unveiling of the new 2019 Jeep Cherokee during the North American International Auto Show, in Detroit. On Wednesday, July 25, 2018, holding company of Fiat founding family said Sergio Marchionne, who oversaw turnarounds of Fiat and Chrysler, has died. 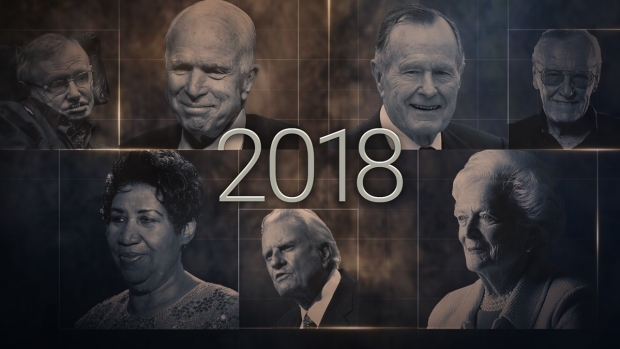 Sergio Marchionne, a charismatic and demanding leader who engineered two long-shot corporate turnarounds to save both Fiat and Chrysler from near-certain failure, died Wednesday. He was 66. The Exor holding company of the Fiat founding family Agnelli announced Marchionne's death in Zurich in a statement. "Unfortunately what we feared has come to pass," Fiat heir John Elkann said. "Sergio Marchionne, man and friend, is gone." Marchionne built the dysfunctional companies into the world's seventh-largest automaker almost by personal force of will, living on a corporate jet crossing the Atlantic to push employees to accomplish what most people thought was impossible amid a devastating global recession. Marchionne, who was Italian and Canadian, had revived Fiat by 2009 when he was picked by the U.S. government to save U.S.-based Chrysler from its trip through bankruptcy protection after being owned by a private equity company. "It's highly unlikely that Chrysler would exist today had he not taken that gamble," said Autotrader.com analyst Michelle Krebs. "The company was in such bad shape, being stripped of any kind of resources by the previous owners." Marchionne met most of his goals, even though at times he was doubted by nearly everyone in the automobile business. But he didn't live long enough to complete his last two: personally hand over the reins of Fiat Chrysler Automobiles to a hand-picked protege and lay out plans for transforming supercar maker Ferrari. 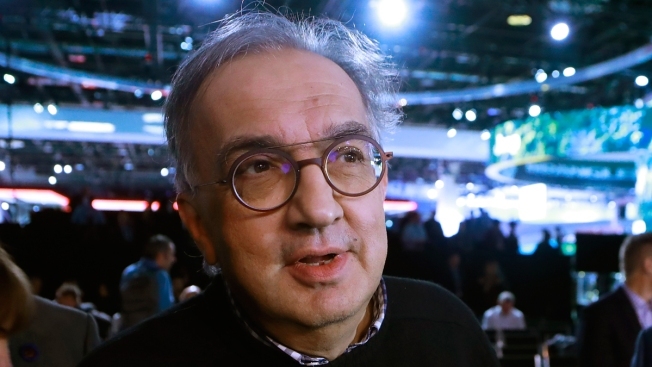 Marchionne had shoulder surgery in summer 2018, and the company said last weekend that complications meant he would not be able to return. The manager, known for his folksy, colorful turns of phrase and for his dark cashmere sweaters no matter the occasion, was the darling of the automotive analyst community. Even when expressing doubts at his audacious targets, they expressed admiration for his adept deal-making. That included getting GM to pay $2 billion to sever ties with Fiat, key to relaunching the long-struggling Italian carmaker, and the deal with the U.S. government to take Chrysler without a penny down in exchange for Fiat's small-car technology. Marchionne joined Fiat after being tapped by the Agnelli family to save the company. Fiat had for generations been a family-run enterprise, and having someone at the helm from outside Italy's clubby management circles — even a dynamo like Marchionne — was an enormous change. Other key corporate moves included the spinoff of the heavy industrial vehicle and truck maker CNH and of the Ferrari supercar maker. Both deals unlocked considerable shareholder value for Agnelli family heirs led by John Elkann. Elkann came into his own under Marchionne's stewardship, taking over as chairman in 2010 having been tapped more than a decade earlier by his grandfather, the late Gianni Agnelli, to run the family business. As Marchionne's health failed following surgery, a clearly emotional Elkann delivered what amounted to an impromptu eulogy and message of gratitude to a man he called his mentor. "He taught us to think differently and to have the courage to change, often in unconventional ways, always acting with a sense of responsibility for the companies and their people," Elkann said over the weekend. "He taught us that the only question that's worth asking oneself at the end of every day is whether we have been able to change something for the better, whether we have been able to make a difference." It was Marchionne's success in turning around a pair of Swiss businesses that drew the attention of the Agnelli family. He joined Fiat's board in May 2003, four months after the death of Gianni Agnelli. He became CEO in June 2004, following the death of Gianni Agnelli's brother, Umberto, Fiat's chairman, leaving a family void in the company. As an outsider, Marchionne was unfettered by local loyalties and he set about cutting jobs and expenses, slimming management ranks and increasing shareholder value along the way. He brought in other outsiders to key positions and relaunched the iconic 500, which became one of the new Fiat's calling cards as it expanded abroad. While he started small with limited industrial alliances, his ambitions soon grew. The bankruptcy of Chrysler gave him the opportunity to create a global car company with brands including Jeep, Ram, Alfa Romeo, Ferrari and Maserati that he envisioned would grow to 6 million cars a year. A global economic crisis that bottomed out car sales in key U.S. and European markets prevented him from reaching that goal, but his industrial vision never faltered as he spun off CNH and Ferrari into stand-alone entities. His most quoted presentation to analysts, titled "Confessions of a Capital Junkie," argued that consolidation was inevitable in the investment-heavy car industry. But though he tried for another merger with General Motors, talks never led to a deal. Still, newspaper photographs of a chain-smoking Marchionne awaiting talks with German Chancellor Angela Merkel outside the Chancellery in Berlin on the role of GM's then-subsidiary, Opel, made clear just how personally he took the negotiations. Marchionne had planned to step down as CEO of FCA after the close of 2018, with the presentation of the year-end results in April. He always insisted that his successor would come from inside — so it was no surprise when British manager Mike Manley, who helped boost Jeep to global success and get Fiat a foothold in Asia, was named as his successor as Marchionne's health failed. He had never indicated plans for Ferrari or CNH, leaving many to speculate that the tireless manager known for his short sleep cycles and globe-trotting style would use those positions to keep a foothold in the automotive world. In June, he laid out FCA's five-year plan — raising the eyebrows of analysts who pointed out he would not be the one to execute the plans. He responded by expressing confidence in his hand-picked teamwhich helped draft the targets. The plans included launching electrified powertrains across Fiat brands — a tacit acknowledgement that the company had lagged in introducing hybrid, hybrid-electric and full-electric engines. They also were to put Ferrari engines in Maserati cars as Marchionne sought to take on electric-car pioneer Tesla — but unlike at Tesla, which has so far failed to turn a profit, earnings were a fundamental at FCA. Marchionne's penchant for numbers was always clear in his attentive quarterly presentations. He let his real satisfaction show during the June 2018 presentation when he announced the company had reached zero debt, by donning a necktie for the first time in a decade — albeit briefly. His next major move was to be the presentation of a new business plan in September for Ferrari, which he aimed to turn into a luxury company beyond just cars to further boost earnings at the company that he was determined would remain an exclusive player with a limited annual production. At his last public appearance in his role as FCA CEO, Marchionne in late June attended a ceremony in Rome where a Jeep was presented to Carabinieri police. Marchionne began his brief remarks noting that he grew up in a household where his father was a Carabinieri officer. Speaking of the paramilitary police corps, he said he recognized in the Carabinieri "the same values at the basis of my own education: seriousness, honesty, sense of duty, discipline and spirit of service." Marchionne was divorced. He is survived by his companion, Manuela Battezzato, and two adult sons.